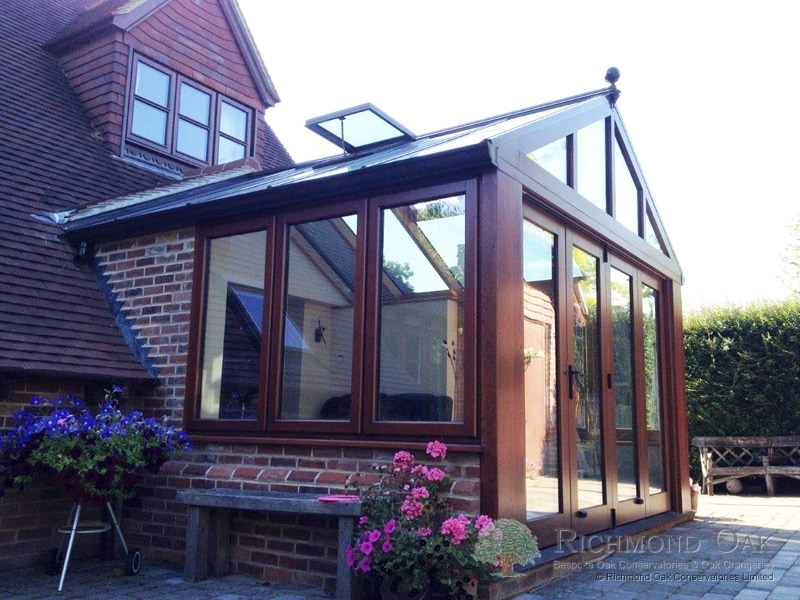 This was an interesting oak conservatory project for Mr & Mrs Bradley, Maresfield, East Sussex. 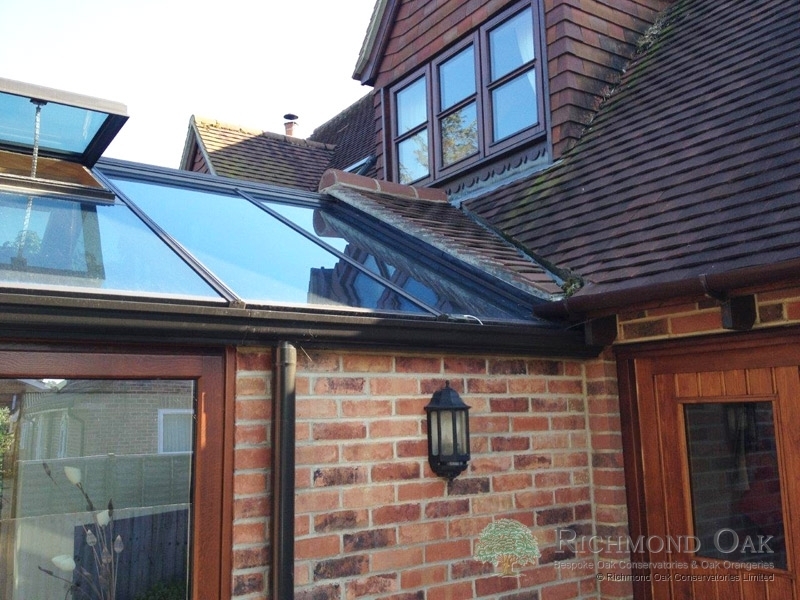 It was important that the conservatory blended with the existing house, as though it had always been there. 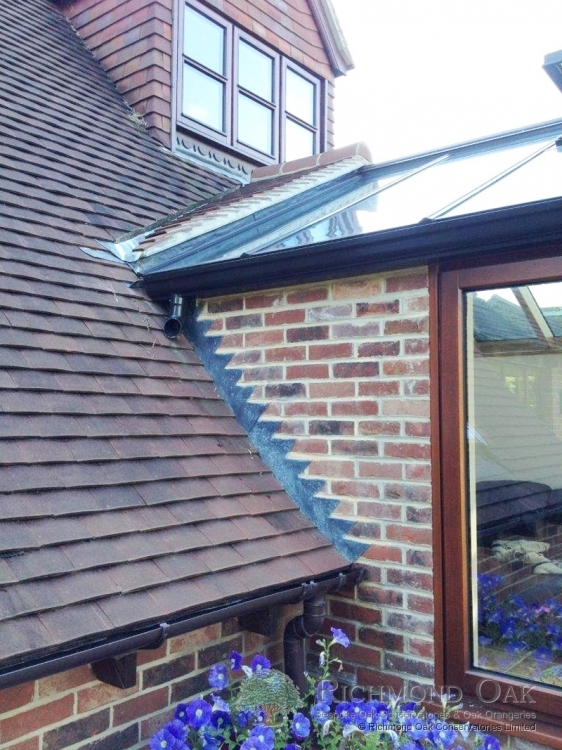 Instead of a typical box gutter, this was achieved by building a new dormer gable into the existing house roof. 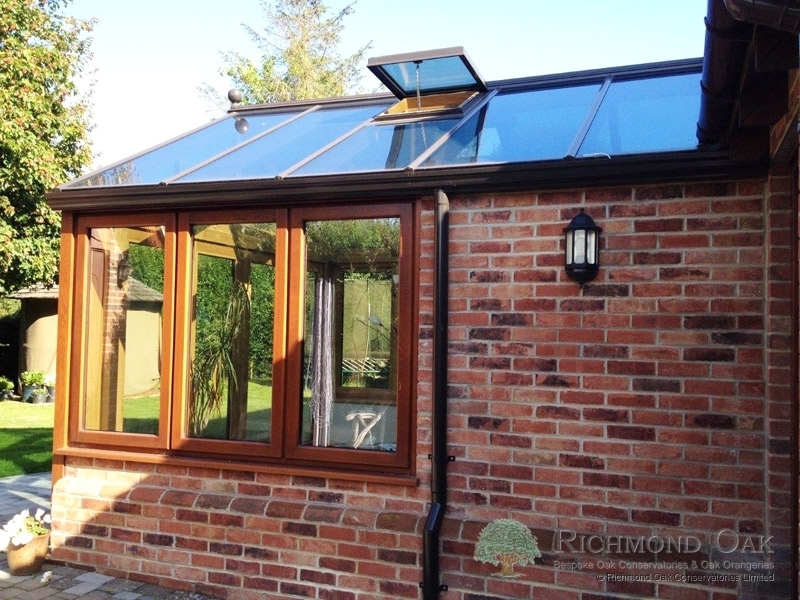 In addition, we opened up the existing doorway and created an open-plan with the new kitchen. 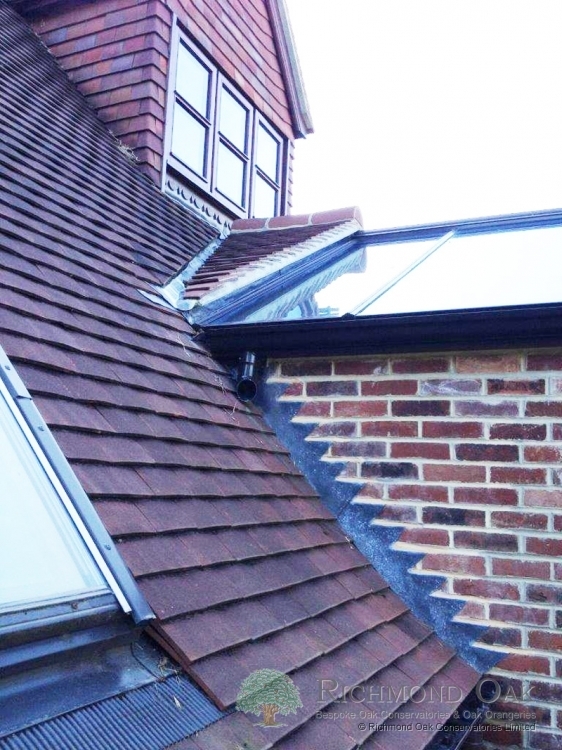 As a result, the project had to meet full building regulations requirements. 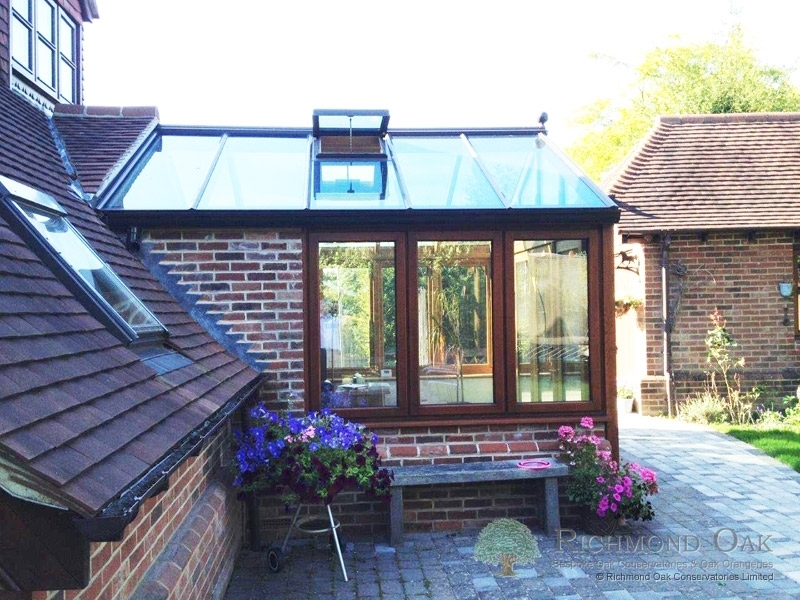 We did have a discussion about more of the new roof being tiled, but agreed that to do so would significantly reduce the light in the kitchen. 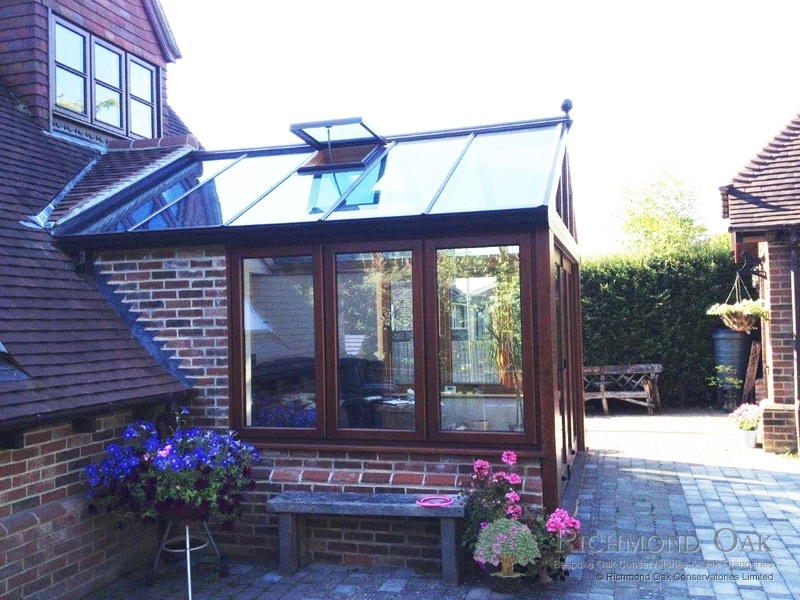 To ensure high insulation all-year-around, we used Celcius Elite solar control glass with a 0.9 u value in the roof and Celcius Clear in the frames. 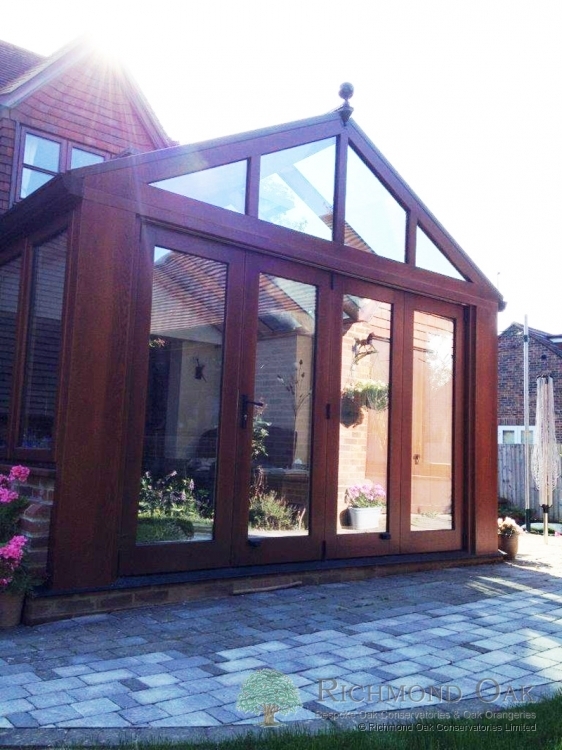 The gable front, has a 4-panel set of bi-fold doors for access to the garden. 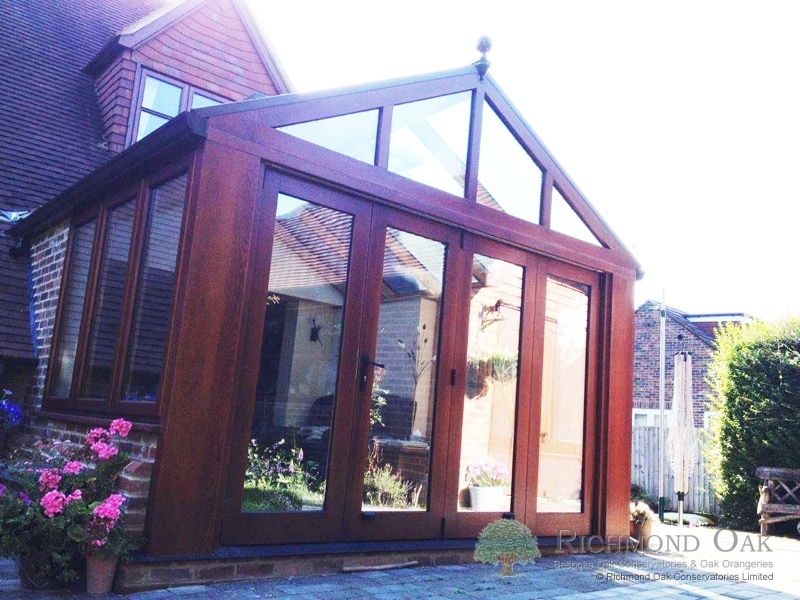 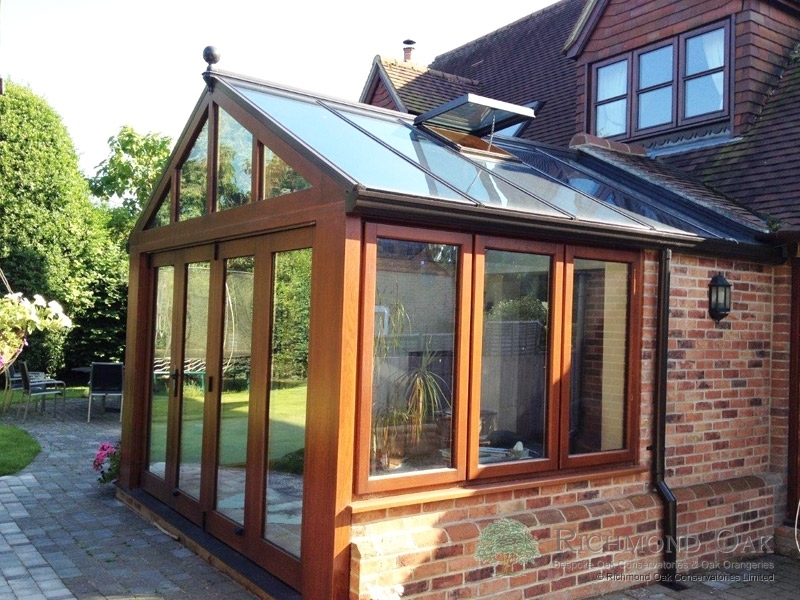 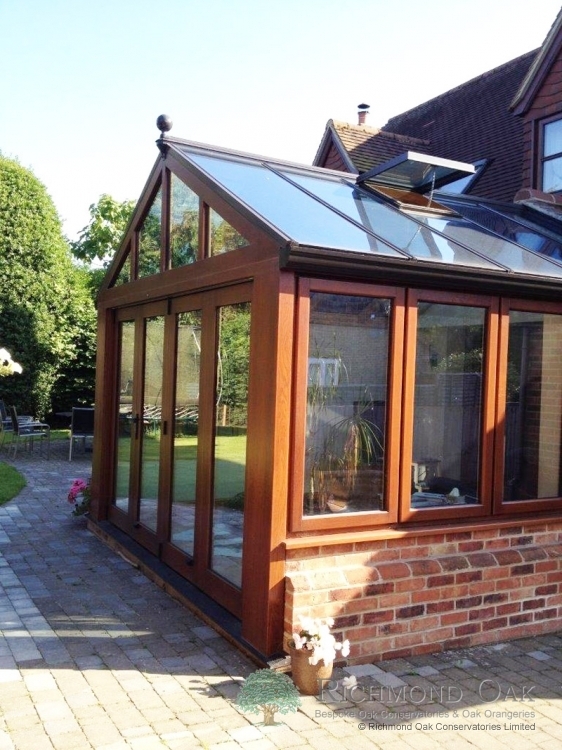 The outside of the conservatory has Sikkens Teak finish to match the house windows and the interior is in a clear finish to show off the natural honey oak.